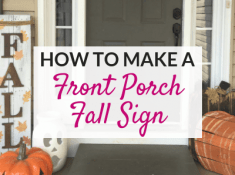 Want to dress up your front porch decor for Spring? Try this super cute DIY square wreath! I was at Michael’s recently “oooh”-ing and “aaah”-ing over the fake grass. Strange, I know. I am drawn more to the simple greenery for spring decor instead of tons of flowers. 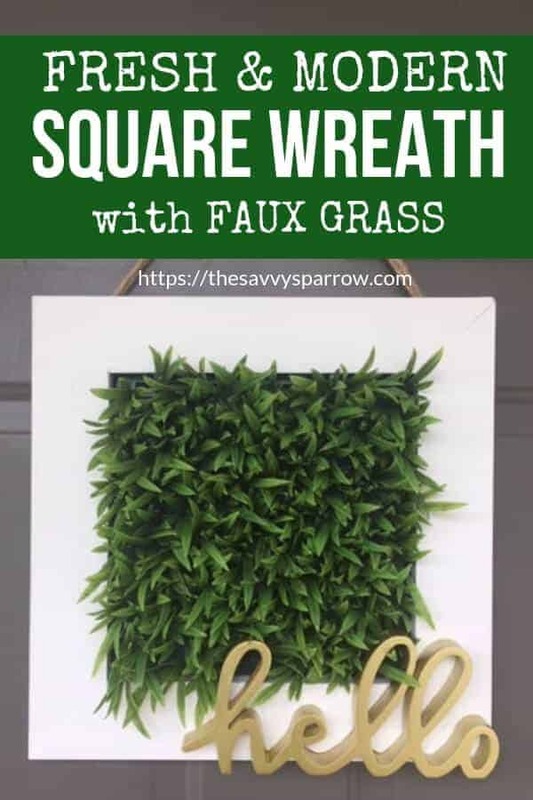 So when I saw the little squares of perfect fake grass, I knew that I had to incorporate them into a DIY square wreath for my front porch decor. 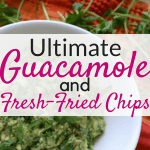 So I threw it in my buggy without a plan (but with a 50% OFF coupon!). The best thing about this DIY square wreath is that you can use it all year, since it doesn’t have any seasonal embellishments. And, I love how clean, fresh, and modern it looks. Click here to check out another one of my DIY wreaths that can be used all year long! Want to make your own fresh and modern wreath? 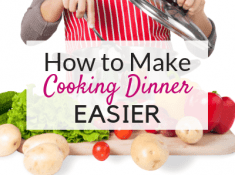 Check out my tutorial below! And don’t think that you can’t make this super cute wreath just because you don’t own a saw! 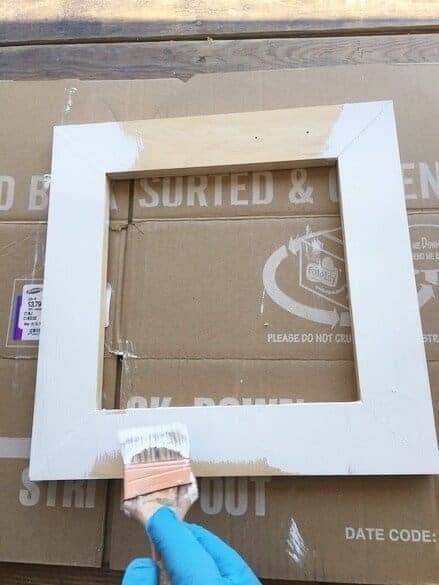 You can use a pre-made square picture frame if you don’t want to break out the power tools. 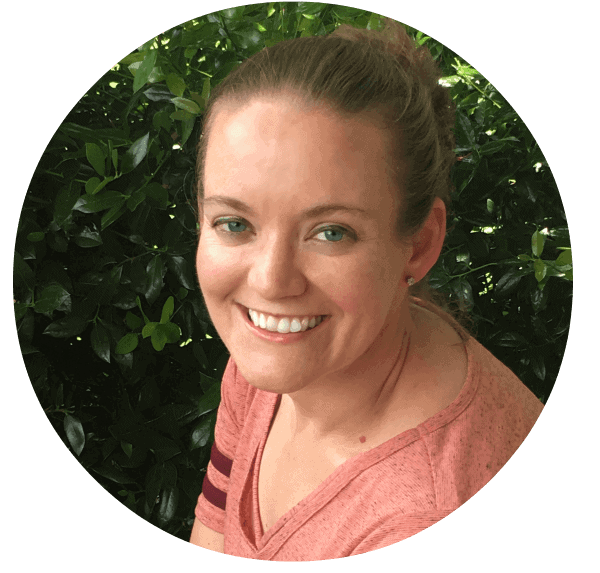 *This post contains affiliate links, which means I may earn a small commission from these links at no additional cost to you. Read my full disclosure here. We built our wreath frame from scratch. 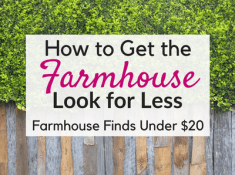 However, if you can find the right-sized premade frame or trim down your grass square, then you can save a bunch of steps and supplies. 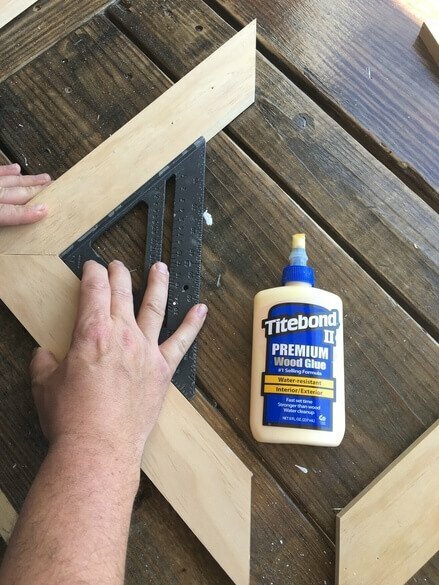 If building your own frame sounds daunting, or if you don’t know a miter saw from a jigsaw, then look for a pre-made square picture frame and just remove the glass and backing. 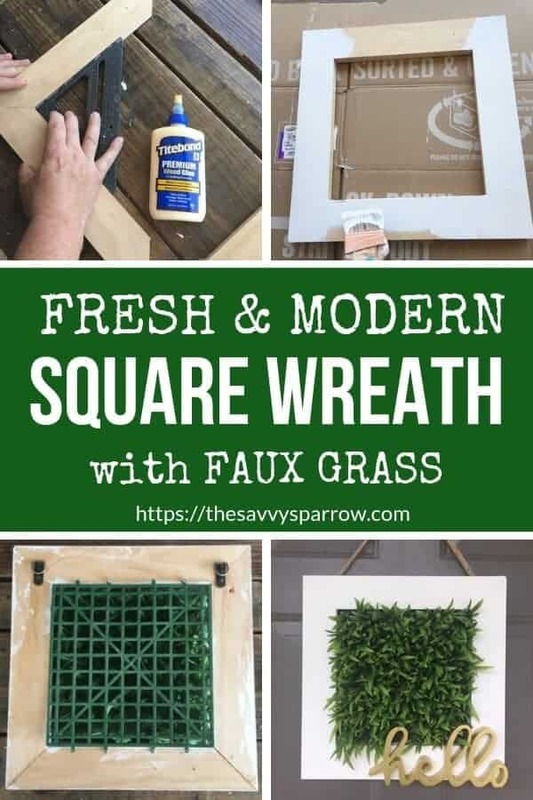 I have seen lots of different square frames at Hobby Lobby and Michael’s that would work perfectly for this DIY square wreath. We used a basic white latex paint that we already had on hand. 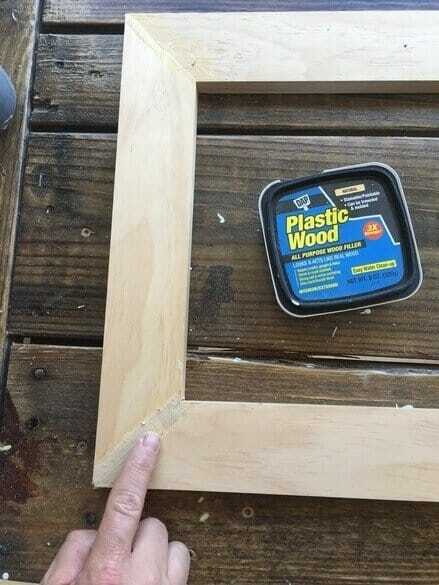 If you are using a pre-made frame, you may need to sand it a bit or apply a primer before painting. 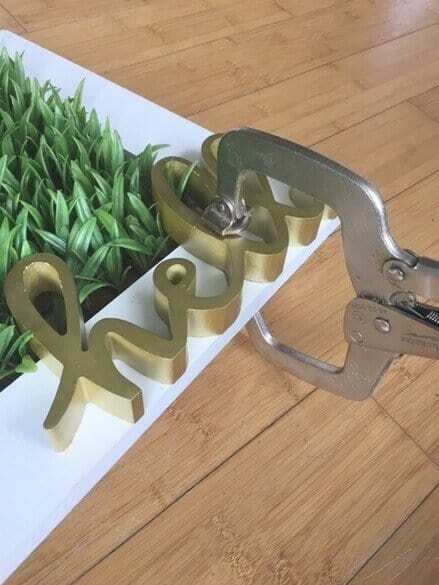 We used small screws to attach our grass, but you may need to use nails if you are using a pre-made frame that is not as thick. 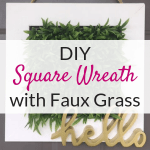 The fake grass square has little holes around the edges that are perfect for this DIY square wreath. 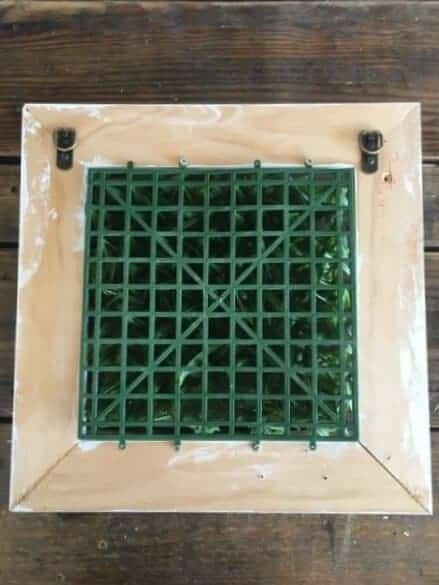 Just screw or nail the grass to the back of the frame using these holes. A good staple gun may work also. My hubby found our cute, gold “hello” at Big Lots, and it is pretty thick (about 1 inch). If your “hello” is thinner or lighter, then you may be able to attach it using a hot glue gun. Ours is pretty heavy, so we used this glue. We glued the “hello” to the frame, and then used a metal clamp to hold it tightly in place while the glue fully dried. Step 6: Attach jute rope and hang your DIY Square Wreath! Just string some jute rope through your picture hangers, and you’re done! 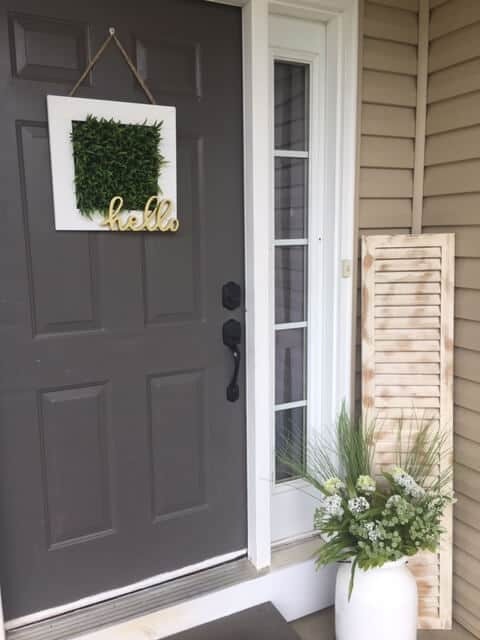 I love the pop of fresh green color that this wreath adds to my front porch decor! 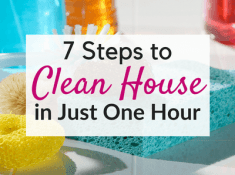 « How to Declutter Your House in One Week – A 7 Day Room by Room Challenge! 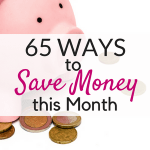 65 Ways to Save Money This Month!